Bestselling award-winners Don and Audrey Wood celebrate your birthday with the best party in the world! Happy Birthday to you! Today is the most exciting day of the year, and the Birthday Queen knows exactly how to fill it with fun surprises! From decorating your home to baking your favorite cake, the Birthday Queen doesn't forget a thing as she creates a party beyond your wildest dreams! Children will crow with delight as she tests a wild assortment of games and clowns, wraps your gifts, and splashes the kitchen with huge bowls of colorful frosting. Here come your guests! Now it's time to celebrate! 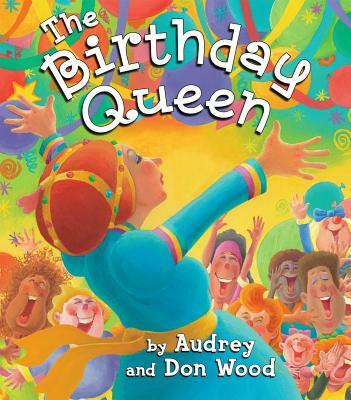 Known for their warmth and imagination, Audrey and Don Wood create a story that crackles with the excitement of the best homemade birthday parties. Their simple narrative speaks directly to the child: You! And who is the Birthday Queen? In a sweet, satisfying ending, the amazing woman who made your special birthday party is revealed to be the person who loves you most--your mother! Children will be begging to read this all year round!